OverviewPick up your wrench and repair time in this charming, colorful tale where humanity is on the brink of collapse. Control Max, a young inventor, and Monica, a warrior princess from the future, as they fight their way through dungeons and train rides to save the world. Dark Cloud 2's story currently appears to have little or no connection to the original, other than its general "rebuild the world" theme. While specific plot information is rather hard to find, from what I can gather it starts with a time-traveling evil madman who is sneaking into the past to destroy the origins of a rebellion in his own time. He apparently goes a bit overboard, though, because when you assume control of your hero, Yuris, there is but a single town left. The young hero, the smarty that he is, discovers the plight of the rest of his world with the help of a friendly time traveler named Monica. Together, they set out to rebuild the world that the madman has disrupted. 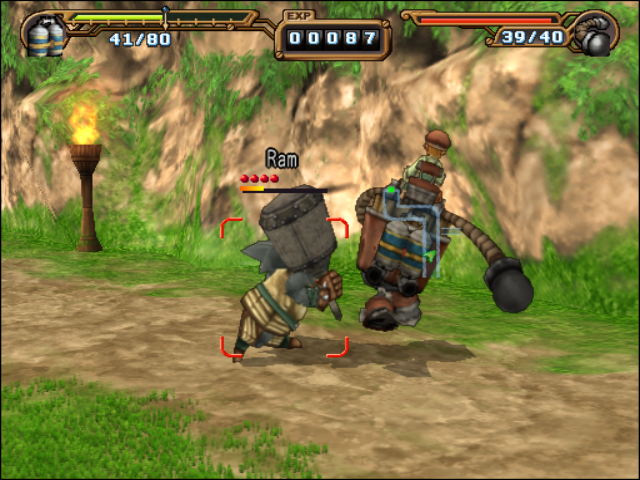 Dark Cloud 2 is a great action-RPG. 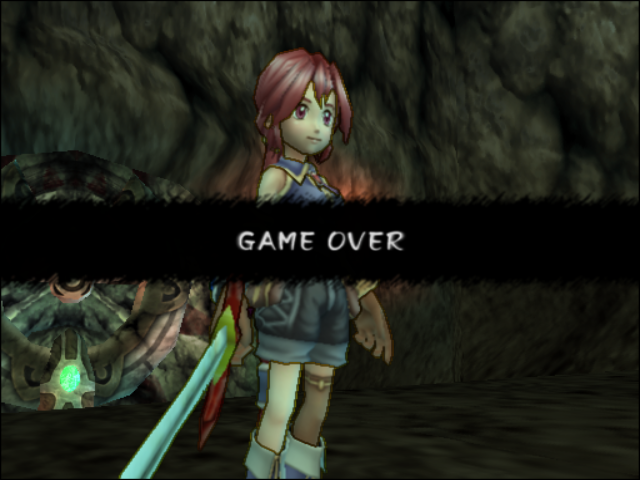 The game is a new story, and there is no apparent connection to the original Dark Cloud, storyline wise. You play as Max and Monica. Max uses a wrench as his weapon and Monica a sword. You can still upgrade your weapons as in the previous game, but if you run out WHP(Weapon hit points) your weapon will no longer disappear as in the first one, but it will still break. 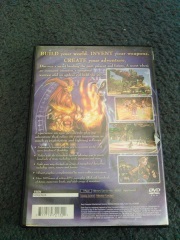 The game still has its georama system and dungeon crawler elements. However this time you will need a certain amount of items to build a piece of georama. Also, either Max or Monico can collect georama, unlike Dark Cloud 1 where only Toan could collect Georama. 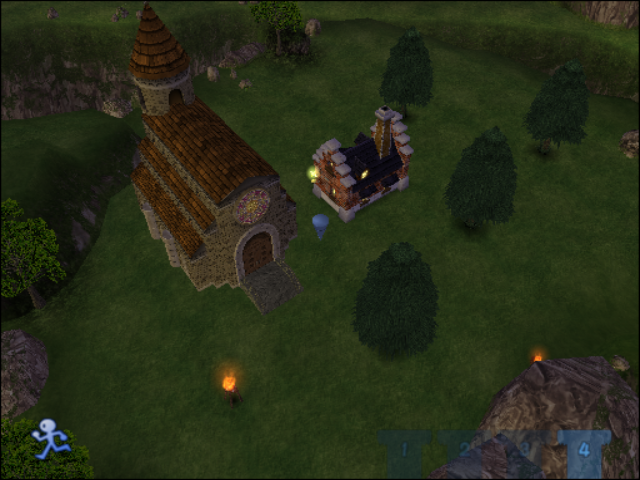 The game also features cel-shaded graphics. 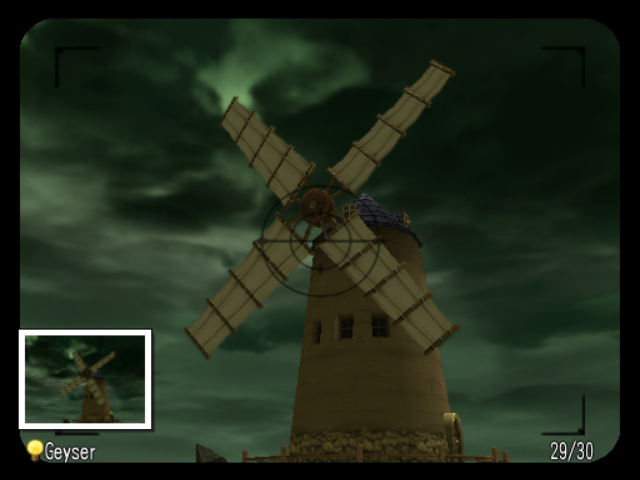 Overall Dark Cloud 2 is a great action-RPG. 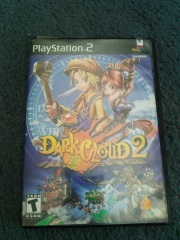 Any fan of the first Dark Cloud should give this game a go. 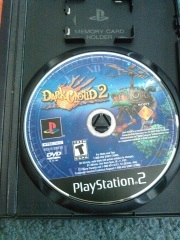 Dark Cloud 2 is an action RPG, the sequel to the first Dark Cloud. The gameplay is similar, but with better features. You can do backflips to dodge enemy attacks. Your weapons no longer disappear if you lose all your WHP. 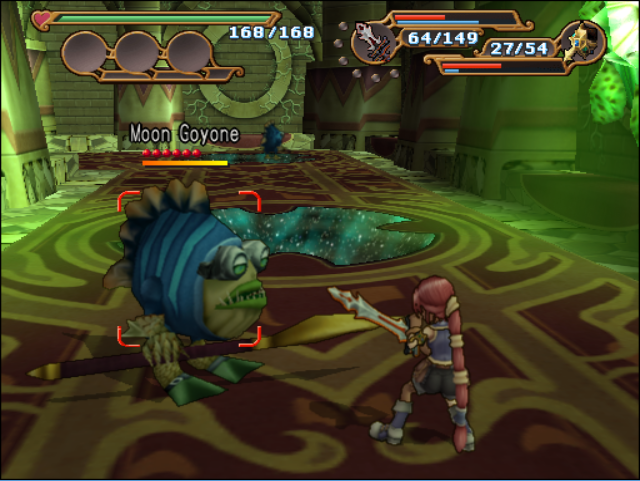 The game features cel-shaded graphics and an amazing soundtrack. If you liked the first Dark Cloud, you should enjoy the second Dark Cloud. Now you can add videos, screenshots, or other images (cover scans, disc scans, etc.) 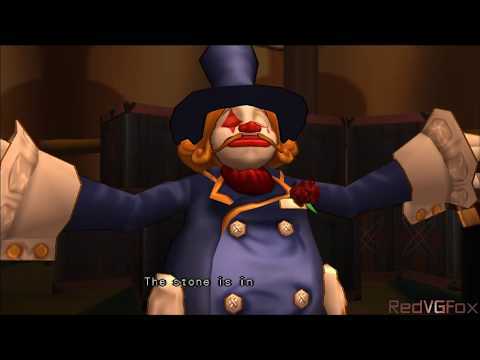 for Dark Cloud 2 (USA) (v1.00) to Emuparadise. Do it now!